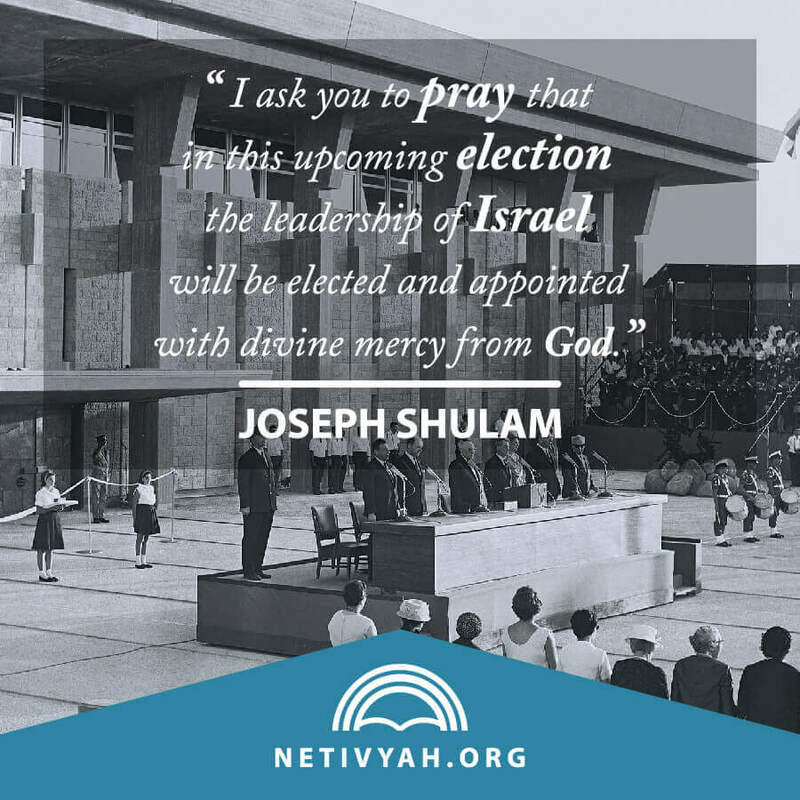 I pray and ask you to pray, that in this upcoming election, the leadership of Israel will be elected and appointed with divine mercy from God. This nation faces formidable enemies from our neighbors from far and near, and we don’t need division and hatemongering right now. We don’t need any internal hate and accusations. Israel needs to be unified against our neighbors who seek, like evil Haman in the book of Esther, to destroy us and kill us. I especially appeal to brothers and sisters in Europe to join this conference, because the Catholic Inquisition was generally-speaking a European problem. 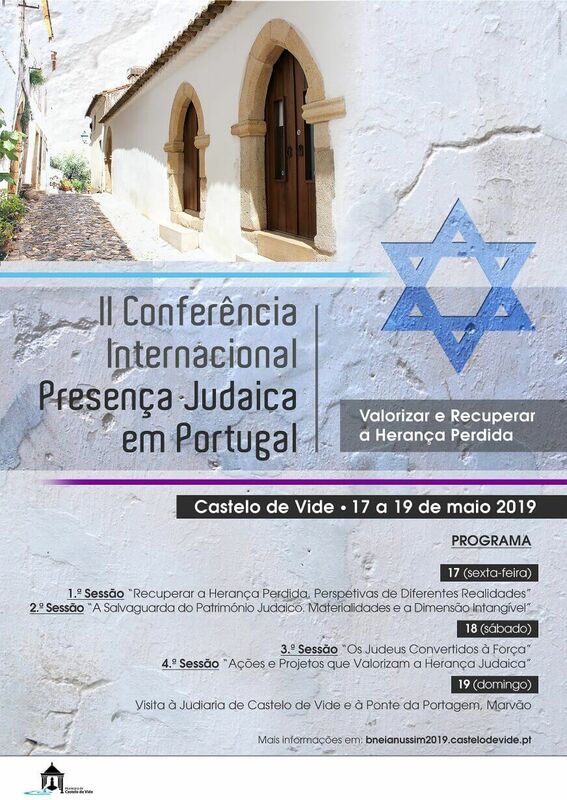 We need our brothers from Italy, Spain, Germany, Finland, and Holland to make a major effort to come to Castelo de Vide and be a part of this effort to restore the Marrano/Anussim Jews back to their identity and back to Israel. For information on how to attend this conference, please contact Daniel at Netivyah here. Please pray for our brothers and sisters in Brazil. There is so many great things happening in Brazil, but there are also some challenges that our brothers face. We are so happy to return home to Jerusalem after the long trip to Brazil. We are also happy to be a part of such a wonderful group of brothers and sisters who are so wonderfully dedicated to the Lord and to the restoration of the biblical faith and life as disciples of Yeshua. We have a very dear family living in Sweden that are faithful prayer partners for Israel and for Netivyah. The Lucca family. Their son Marcus is seriously ill and I ask you to pray for Marcus Lucca, and for his mother Tertu and his father Tapio who are both dealing with serious health issues. There are some who suffer illness and physical and health difficulties that the Lord can use for His glory, and I pray for these brothers and sisters in Sweden, and for Ruby Little in Oklahoma, Eli Levi in Cincinnati, and for our dear brothers in Israel, and Marcia my dear wife, and Danah and Noaam and all those on this prayer list – that God will be glorified in their lives and in their healing. Our dear brother Efim just had a CVA (Stroke) and is in the Shaari-Zedek hospital in Jerusalem. Please pray for Efim. He was the first Messianic rabbi in Moscow, Russia. Eddie Santoro is also in urgent need for prayer. He is one of the leaders of the Revive Israel congregation in Jerusalem. He has been dealing with cancer in the brain, and had two surgeries, and now the cancer has returned, and the only possible help has to come from the Lord Himself. So, please pray for Eddie and for Efim and all the others who are ill and need God’s healing. We appreciate so much the contribution for the purchase of the van for Netivyah. The old van has been plowing through the country taking wonderful gifts of military grade backpacks that hold 80 liters of stuff. These backpacks were filled with goodies and sweets and practical things that will bless the Israeli soldiers who are a part of the disciples of Yeshua in this land. Many have already given generously, but we are now halfway to our goal, and I ask those who have not made a contribution for this special project of replacing a van that is 15 years old. The van is a tool for the Hamotzi food distribution program, and the youth ministry, and serving the older generation that needs transportation to attend the worship in the congregation, and scores of other important uses that serve the community and the the needy of this city of Jerusalem. Pray for our Brazilian brothers, especially Marcelo Guimaraes and his family, and the leadership of the Har Zion Congregation, the Teaching from Zion Ministry, and the leadership of Hesed VeEmet (Grace and Truth) congregation, and the Sar El congregation. We have enjoyed the hospitality of these wonderful brothers and sisters in Belo-Horizonte, and Vitoria, and Curitiba and we want to ask you to pray for the leadership and the members of these congregations in Brazil, and many of the other fellowships and congregations who stand with us and pray for us and for Israel. Please remember our dear brother Jacob Damkani in your prayers. He is still not back to himself, but he is well enough to go home from the hospital, and that makes him much happier. Dr. M. Song, from Korea, and his whole family have been some of the most faithful prayer warriors for Aliyah and for Israel, and for Netivyah. I ask you all to mobilize yourself, your time, your family, and your friends, and lift Dr. M. Song and his family in your prayer. Pray for healing that will come from the Lord and pray for strength in Dr. Song’s spirit and in his family. Keep a dear sister in the Lord named Courtney in your prayers. I am adding two very important prayer requests: Amir the son of Amira – you have been praying for him. He is 30 years old a father with a family and three children. Thank you for praying for Amir – he has succumbed to the cancer and is no longer with us here on the earth. His family appreciates your prayer for Amir and blesses all who called upon the Lord for Amir’s healing. May the name of the Lord be blessed and glorified forever. Please keep praying for the grandmother of Amir, Um Abu-Eid – she is a dear old Arab/Palestinian. Please continue praying for baby Lion from the Huch family in DFW. Little Lion is doing better, but still far from being out of the woods. Please continue to pray for our Jewish brother Hillel from Helsinki, and Keijo and Salme in Nokia, and for Tim Tucker, Anne-Mirjami, Satu-Maria and Anna-Majia, Sinni Tuuli, Erki and Sirpa, Keijo and Salme, Evelina, Eva H.
Pray for Patty, Andrea, and Tineke – all are in the Netherlands and need healing from God. Continue to pray for Julia and Victor, our dear sister and brother in Jerusalem. Both need healing and God’s help. Please add a dear sister that is suffering from prejudice in Switzerland. Her name is Paula and she needs a divine breakthrough. Please keep praying for a dear sister named Zhou WenriIan living in China. There is a dear brother, Pastor Isaac in Chenai, India, who has a deep love for the Lord and for Israel. He is sick with kidney problems and needs a dialysis treatment several times per week. Please pray for a medical miracle for Pastor Isaac and pray for his ministry in the Kingdom of God. I am also asking you to pray for a dear sister in China who is doing so much for the Kingdom of God – her name is Ema! She has a big burden for a big school that needs the Lord to bless it and open up all the avenues of blessing and enable success both in the physical and spiritual realm. I am adding another dear and important leader in the ultra-Orthodox Jewish community who is ill with a serious disabling illness. He is a sincere truth-seeker and a student of the entire scriptures. Pray for his healing and protection and for the Holy Spirit of God to guide and lead this precious and sanctified leader. Margareta is a dear woman who is Orthodox Jewish, please keep her in your prayers. I can report that Margareta has received grace from the Lord and her terrible situation has improved dramatically. We just need to keep praying for her and for her family. In our congregation please lift in your prayers the following brothers and sisters who need the Lord’s gracious touch of healing: George, Gary, Melanie, and Aharon (Nancy and Don’s son), Sarit, David S., Gabriela, Ahuva, Leah, Ilana, Yehuda H., Hannah, Gabriela the young, Zvi D. and his dear wife, and especially Nancy. Nancy is recovering from a CVA (stroke). The Lord was merciful, and Nancy will fully recover from this stroke with God’s help. These brothers and sisters from around the world need your prayer and your intercession and healing: Paulo and Noami, Marcelo’s parents, Curita Sensei, the Abe family, Toru, Takeo Sensei, Daisuke Sensei, Tomoko San, Yumi, and her father and family. Please pray sister Oksanen. They need prayer for illness. Please pray for Louisa and Tony in Hong Kong. I have special concern for our dear brother Goh and his family, and for Sister Christy, Sister Laurel, and for Brother Michael Knezevich. These are all people for whom you are praying, but I want you to know that these are also people who pray for Israel and for Netivyah, and stand and support both Israel and Netivyah. I want to add a brother from Brazil who is living in Portugal now and is having some serious family problems. His name is Ismael Alves. I wish all of you, who stand with Israel and who pray for Jerusalem, the best of the Lord’s blessings and the fulfillment of all His promises to His faithful children. For the Lord is gracious and longsuffering and good to all, but especially to those who have faith and hear His word and do it. Those who hear God and do His will are the ones who are called wise! Those who only hear His word and don’t do it are called foolish! Let us all strive to be wise and never foolish! Thank you all and know that we in Jerusalem love and appreciate you!